It happens all the time in a typical household. You grab a paper towel — or two, or three — to wipe up a mess when something is spilled. That’s what paper towels are for, right? But something else you might have experienced using paper towels is for polishing your nice granite countertop, rubbing and scrubbing but still seeing streaks on the surface. You keep going until you have exhausted not only your stock of paper towels, but your own energy as well. And what about the mirrors and windows in your home? Have you ever sprayed them with window cleaner and no matter how much you rubbed and scrubbed with a paper towel, you still saw those little swirly marks? Of course. Happens all the time! We have nothing against paper towels. We all use them and need them. But there is a better choice when it comes to cleaning many of the surfaces in your home. What’s that better choice? A “microfiber” cloth or towel, and it solves all kinds of cleaning challenges. Bonus: Anyone who believes in cleaning “green” and recycling should consider using microfibers. They are environmentally a superior choice. You can purchase them from virtually any store that sells cleaning products. Try them out. So toss in the towel — the paper one, anyway. DID YOU KNOW that one of the biggest decisions you will ever make involve whom you invite into your home? No, we aren’t speaking of dinner guests or your next son or daughter- in- law. Yes, they are important… but what we are speaking of is something you might do without giving it much thought. What is it? Inviting a service company into your home. You have to do it from time to time. But you need to be extra careful of whom you invite. Remember, this is your home, your private domain, and you want only the best. Sad to say, many service companies today are a disappointment when it comes to providing customers what they really need and want: Good, quality workmanship combined with top-notch customer service. Your choice in a carpet cleaner or water damage restoration pro should be the best choice. What should you expect when you hire a cleaning or restoration company to enter your home and do work for you? 1. Quality work: When you call a company to do work for you, it is assumed they will do what they say they will do, such as clean the carpet, clean the tile and grout, or remove the water that flooded your property. 2. On time: They say they will be there between 10 a.m. and 1 p.m. but if they are there at 2 p.m., what does that do to your schedule? A reputable company will be on time and respect your own schedule. 3. Appearance: A quality cleaning and restoration company should look like professionals. Anyone coming into your home should make you feel comfortable. After all, if they can’t keep their trucks and technicians cleaned up, can you expect them to really clean up your home? After all, it is your home. When looking for the best in cleaning and restoration, remember you deserve the absolute best! Call Central Coast Domestic Services on 43 347118! Cleaning your carpets on your own can save you a lot of money now, but it could cost you more due to the less than desirable results. Make your life a little easier by hiring a professional. This article gives you some advice on how to choose a professional cleaner, and how you will capitalize on your efforts. Before the carpet cleaning people arrive, take photos of the room you are having cleaned. This will help you prove any damages they cause during the process. It isn’t cheap to replace carpet, and you don’t want to have to be stuck with that expense unnecessarily. Make sure that you are absolutely clear about the pricing before having anything done. A few carpet cleaning companies advertise by room, and provide a fixed price. But in the fine print, they usually specify a room size, and your room may be significantly larger. Know the measurements of your room and ask them the price based on that. Always ask a cleaning company what makes them stand out from others in their fiend. You don’t want to hear them answer, “Because.” If they won’t answer you, end your conversation. Do not consider hiring a company unless they know how to lead in their field, and provide proof of their superiority. Make sure any company you hire to clean your carpets has a physical address. You will need to locate the company if there are any errors with the cleaning. If the cleaner you are considering hiring uses only a P.O. box, you should keep looking. There are quite a few ways that a carpet can be cleaned, and companies differ. 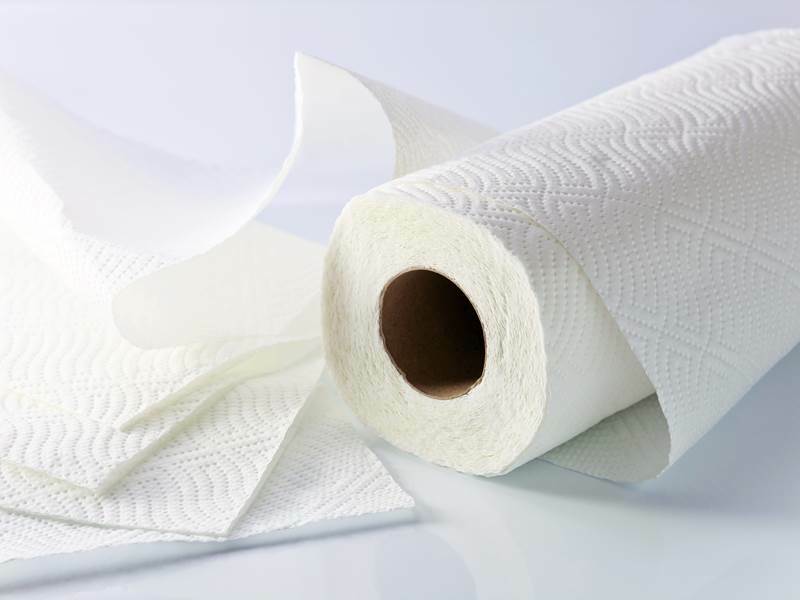 Absorbent pad cleaning is one method adopted by many. The machine used resembles a large floor waxer. It uses pads that spin and are absorbent, which soaks up a lot of germs and mold that may be hiding in your carpets. You’ll want to make sure that you get your house prepped before you have your carpets cleaned. Remove all breakable or damageable items from the room. Regardless of how much insurance the company may have, nothing replaces a prized possession that is broken. On the other hand, don’t worry about moving your furniture. The carpet cleaners should deal with that for you. Find customer reviews about any carpet professionals in the area. Call each of these people and get pricing on a cleaning. It should be simple enough to eliminate companies that are too expensive or too cheap. This will narrow it down to several companies you can have come to your home for an in-person estimate. Ask about satisfaction guarantees. If you are unhappy with their work, the ought to clean the carpet again. If the cleaners fail to deal with stains they claimed they could, you should ask for a discount. It’s not fun to clean carpets, you can feel sore and tired. You will be amazed if you hire a pro to clean your carpets. The difference in cleanliness will be dazzling. It saves you time and yields results you’d be hard-pressed to produce yourself. Follow these tips to find true value in carpet cleaning professionals. Clean carpets are a must in any home. If you want to hire a central coast carpet cleaning company, try to find out exactly what they do and how they do it. Read on to learn more about this. A company should be able to tell you why you should hire them. Many companies will not give valid reasons to hire them. If they have no justification for their claims, you should move on. Only interview representatives of companies that are known leaders in the carpet cleaning field. Make certain the representative can state clear reasons why the company is superior. Get your carpet cleaners insurance information prior to signing a contract in case they do any inadvertent damage. Remember that their word is not good enough. Ask your carpet cleaner about their insurance company and call the company to get more details. It would be bad if the cleaning company made a mistake and no longer had insurance coverage. If the carpet isn’t really dirty, it might just require a surface cleaning. If you find this out, then you may want to consider dry cleaning by an experienced professional. This is a quick process that does not require any drying time. A good cleaning company should be able to clean your entire home within only a few hours. Prior to agreeing to hire a company, ascertain exactly what the charges will be. Generally, a good cleaning service will move your furniture without any additional cost. Most carpet cleaners include preconditioning costs. 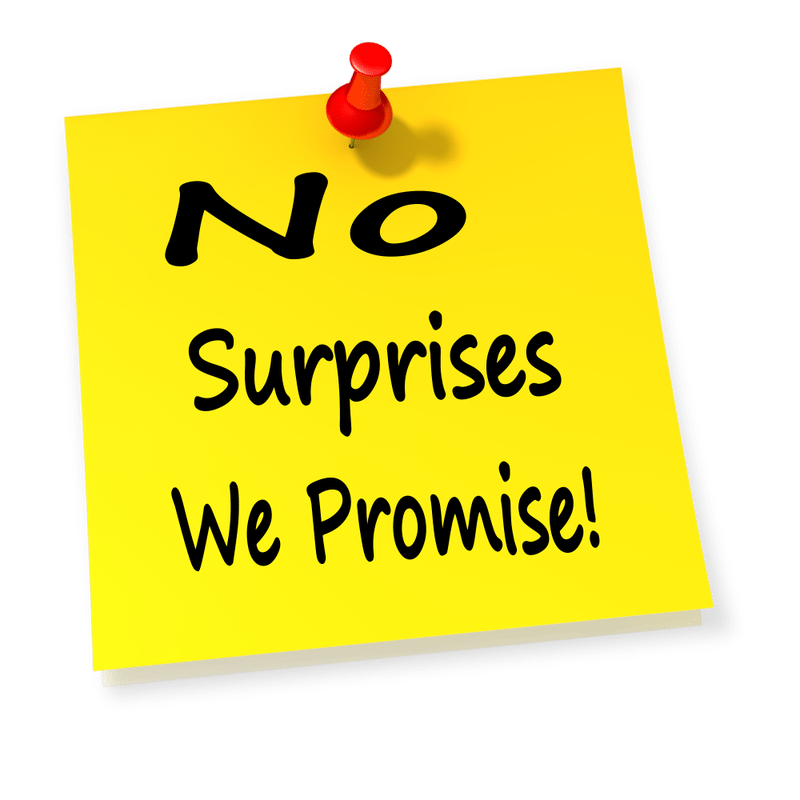 Understanding all the costs upfront will help you from becoming surprised down the road. Check the licensing of any carpet cleaner. A company may say it is licensed, but you must require proof. Taking the time to check into this can save you from paying for damages. You can find out great reviews by searching online. Talk to people who have used that specific company before. If you find a lot of complaints, you should keep looking for a more reliable company. Lots of ways exist to clean carpets, and cleaning firms can differ a great deal. Some companies may prefer cleaning with absorbent pads. This approach entails the use of a large piece of cleaning equipment. Spinning absorbent pads soak up stains, germs, mold and dirt from the carpets underneath them. Check for a warranty from any carpet service you consider hiring. Unless a cleaner can guarantee their work, do not give them your business. Use the guarantee if you need to and let them fix their mistakes. Ask if you can get your money back only if your carpet cleaner did not provide the services you agreed on. If a cleaning company need to clean water-damaged carpet, you only get two days for this. If you wait beyond that, your carpets might be too damaged to save. 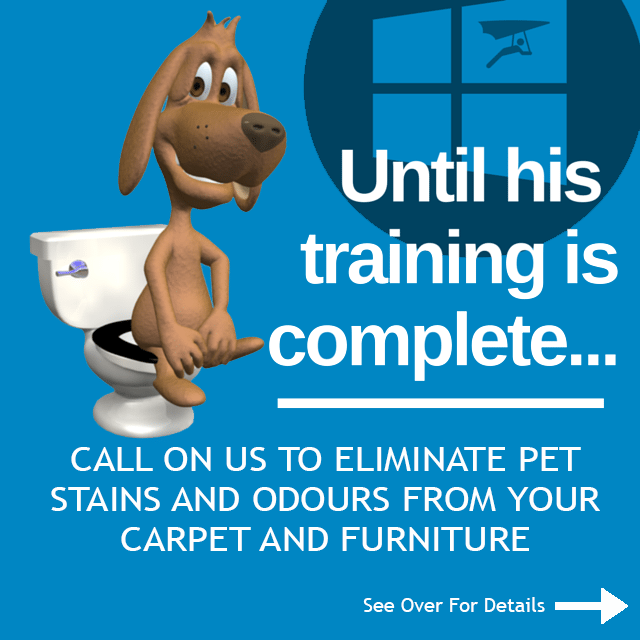 If you are able to get a clean carpet within 2 days, you are much more likely to be able to save your crpet. A lot of people are concerned about how clean their floor coverings are. To find the right cleaning service with lots of experience, you should learn about qualities of a good cleaning company, and how the company sanitizes your home. Hopefully, the excellent advice provided above will help you select a great carpet-cleaning professional for your home. Often, people forego having their carpets cleaned because they fear it will be too expensive. They may believe that having the carpets cleaned would be quite complicated. That, however, is actually untrue. The information below will help you figure out more about the world of professional carpet cleaning. Possessing the newest technology does not make a company the best choice when it comes to carpet cleaning. New technology may help clean your carpets better; however, if the person does not know how to use the equipment, your carpets will not benefit from new technology. Choose a carpet cleaner who answers to all your questions in details. Are they honest and also friendly? These are important characteristics to look for. When in the process of choosing a central coast carpet cleaning business, you shouldn’t just select the cheapest one. You need to think about the level of service provided and the reputation of the company. Understand that these people are going to be using equipment in your home. Choose the company who you feel you can trust with your home. If you keep a pet at home, you need to find a professional carpet cleaner who can make bad odors go away. A deodorizer is something that you apply when you’re cleansing the carpets, and it covers up the smells that aren’t taken care of by the cleanser. This will freshen your home and will save it from smelling like your pet. Just because carpet cleaners use some famous products doesn’t mean that they’re more reliable and experienced than other companies. You need to find out whether or not the cleaner you hire has a certification and a good reputation. Just ask the company, then verify that on your own. Red wine spilled on any carpet can leave a horrible stain. Treating the stain immediately will minimize damage. Pour a small amount of white wine on the red wine stain to dilute the color. An absorbent towel and some cold water can be used to blot the area. Cover the wet spot with table salt for around 10 minutes, then vacuum the area. Always ask a cleaning company what makes them stand out from others in their fiend. You don’t want to hear them answer, “Because.” If their answer is anything like that, hang up the phone. Only work with a company that is good at what they do and gives you facts about why they’re the best in the business. Take time to vacuum all of the carpet. Thorough vacuuming removes a great deal of dirt. You can extend your carpet’s life and prevent permanent stains with this practice. The extra time you spend will give you good future results. Don’t be afraid of your gut feeling when it comes to a carpet company. If you suspect that you are not being told everything that you need to know, do not waste your time. You have dozens of trustworthy options available. The least expensive service is not necessarily the best value, so keep looking. As you’ve seen, it’s simple to get the carpet cleaned professionally. You no longer have to live with dirty dingy looking carpets. A professional carpet cleaner can rejuvenate the look of the carpeting in you home. You will smile at the new look of your carpets. When you walk into a house for the first time, what do you see first? If carpets were your answer, you may be in trouble. A carpet is intended to be a canvas on which the rest of the furnishings are displayed. Hiring a professional carpet cleaning company can really save the life of your carpets. Use the tips presented here to find the best central coast carpet cleaner. When choosing a professional carpet cleaning company, find out if you can get a free quote over the phone. They might have a figure in mind, but they have no idea what the rooms in your house are like, so a free quote will help you understand how much you might spend. Make sure that you have all of the important dimensions handy. Every carpet is unique and requires different cleaning methods. It is best to test a small hidden section of your carpet 24 hours before getting the entire floor cleaned. Expensive materials can be easily damaged. If you are not confident in your carpet cleaning skills, it is time to contact a professional. Save money on carpet deodorizer by using plain baking soda. Sometimes you will find that they use a baking soda base. You can save money when you use baking soda. If you want fragrance, add some oils to the baking soda and then let it dry. Never hire someone to clean your carpets without doing some kind of research first. Try to find satisfied customers of the service and see if your local Chamber of Commerce knows anything about them. If you come across an abundance of complaints, then you should likely search for another company. Before hiring a company, talk to them first to determine their price and the items that have no associated charge. A cleaning company will typically remove your furniture for free. Preconditioning may also be included in the charges. It is vital to know exactly what you will have to pay. You should feel comfortable with the company you hire to clean your carpets. The object is to feel content with the service provided, so make sure this happens. A good company is going to make sure that you’re happy throughout the whole experience. Request a carpet-cleaning company to use white vinegar for quickly eliminating carpet stains. Even though this solution usually does an adequate job, hiring a professional carpet cleaning service is usually the wisest choice. Before using this, test a small area. Ask the carpet cleaning company if they do background checks on their employees. You clearly do not wish to have criminals of any type walking around your home! When you call for an estimate, ask directly if each employees has passed a background check. If the company does not want to share this information, hire a different company. It is possible for your carpets to look like new again when you hire a carpet cleaning company. You will be amazed at how the entire look of your home changes once your carpets are clean! If you use the information presented in this article, you can make a good decision. Check Out This Great Article About Carpet Cleaning! You want your carpets to get a good deep cleaning. However, you probably know that it would be a much easier job for a professional than it would be for yourself. You should learn more about the hiring process. Read the below article to learn some advice on how to begin this process. Red wine that gets spilled on a carpet may leave behind a bad stain. Treating a stain as soon as possible can make it easier to clean. You can immediately use some white wine to help dilute a red wine stain. Then use cold water, plus a very absorbent cloth piece to blot out the liquid. Pour table salt on the moist carpet before vacuuming. Make sure that the company you choose is professionally certified. This is the one form of certification that’s out there that most people will recognize. Warranted carpet should be attended by a certified carpet cleaning professional. Your carpet manufacturer may decide to void your warranty if uncertified contractors are performing carpet cleaning services. Make sure you leave enough room to accommodate the carpet cleaning truck. This may sound a little silly, but you should consider it. The equipment these companies use to clean your carpets tend to be heavy, so you want to be sure they are as close to your house as possible. Don’t use any other products on it before they arrive. A lot of carpet deodorizers out there are just a mixture of fragrance and baking soda. Therefore, buying baking soda is a great money-saving tactic. If you prefer scented carpets, simply mix the baking soda with some essential oils and allow it to dry on some waxed paper. Do your homework and check references and reviews. You should not just depend on their word because although many carpet cleaners appear to be very competent and friendly, you should check to make absolutely certain they are who they claim to be. Grease is tough to remove under most circumstances, and it is particularly hard to remove from carpeting. You can pre-treat the area with corn starch while waiting for the company to come. Drop some corn starch across the problem area for roughly half an hour prior to vacuuming. You can repeat the process as many times as necessary to remove the grease. Before settling on a carpet cleaning company, you should compare the merits and demerits of each. Check out their reviews and do some research. Have a bottle of stain remover nearby to get rid of the worst stains like sauces and red wine so you don’t have built up grime when your professional cleaner comes in. This type of product can be immediately applied to the stain as soon as it occurs, and let it sit on the stain for as long as the instructions state to do so. If removing stains yourself does not work, you can always hire a professional service to help you out. Since you read the above article, you know what to look for in a company who will clean your carpets. Take the time to compare different options and you will get excellent results for your carpet. Implement the tips mentioned above to have your carpets cleaned by professionals. Admit it, if you have a dirty carpet, you are simply not happy with your house! However, it can be hard to keep all of your rooms looking great, and this is where hiring a professional comes in. Implement the advice here to hire the best cleaning company. Before having your carpets cleaned, be sure to vacuum it. Utilize a good vacuum with strong suction power to rid your carpet of loose dirt and debris prior to applying water or solvent cleaners. This will help get your carpeting extra clean. You may want to wait until a stain is dry before vacuuming. Instead of just trying to get a price on carpet cleaning on the phone, you should see if they can come by. This allows the cleaner to give a more accurate estimate and assessment of the cost. And, if you decide to go with them, you can get your contract agreement in writing. Once the carpet-cleaning professional has completed their cleaning, you should ask them for suggestions on how to take care of your carpets in the future. Many can give you advice about how often to vacuum, how long to let the carpets dry, and even what type of stain remover is best if you should have future problems. Using these tips will keep your carpet looking nice for longer. Using a popular brand of cleaner does not necessarily indicate that the cleaning company is competent and reputable. Check that the cleaning company has the proper certifications. Ask them about certifications and contact your local better business bureau to find out if any complaints have been filed against this cleaner. After choosing a cleaning company you are satisfied with, prepare your house for the cleaning. Remove any fragile or breakable objects from the room being cleaned. If you have a priceless or one-of-a-kind item, even professional cleaners’ insurance is not likely to replace it. There’s no need to mess with the furniture, however. The company can handle that for you. Get your carpets cleaned if there is a dust mite problem at home. Allergies and other respiratory woes are often linked to dust mites. Your carpets are a great hiding spot for dust mites; however, a professional cleaner, armed with excellent equipment, can eliminate them. Biannual cleanings of your carpets can really help to keep the dust mite population down and your allergies at bay. You can professionally clean the carpet at your place of business too. You might be serious about carpet cleaning at home, but not so much at work. A clean carpet in a professional environment reflects well on your business and might just keep employees healthier from allergens. Vacuuming is very important for a cleaning company to do beforehand. Dirt will soak in when the process starts. The truly best way to have your carpets deep cleaned is through a professional service. When the carpets are deep-cleaned, the whole home smells and looks wonderful. This article has given you all the information you need to find a great carpet cleaner. When you’ve found a good company, recommend them to loved ones. It is important to have clean carpets in your home. The best way is to be sure that you hire someone to help you clean your carpets that is good at what they do. You also need to be sure that you know what to look for in a company. Keep reading this article to figure out what you must know. To get some of the deeper particles trapped in your carpet, roll your vacuum against the grain. The friction created from this will give you a deeper clean. Stay with the grain for surface particles. You need to make sure you address water damage concerns to your carpet within 48 hours. If you wait too long, the professional you hire will not be able to clean your carpet. Contact a professional as soon as possible and explain the situation in detail to make sure they bring the right equipment and products. You should be able to get a guarantee from a reputable carpet cleaner. Look for companies that have a guarantee for their services. If you aren’t satisfied the first time, at least give them an opportunity to make good on their promise. Ask if you can get your money back only if your carpet cleaner did not provide the services you agreed on. Be sure the company you’ve picked sends out honest, reliable technicians. Most companies do perform background checks to make sure that their workers are trustworthy, but it doesn’t hurt to make sure before you settle on a company. This is important, because these people are going to be in your home for a significant amount of time. When a carpet-cleaning company is cleaning your carpet, they should avoid using a significant amount of heat. Heat can often damage a carpet’s quality, especially in carpets with a lot of color or made of delicate material. This is especially true during stain removal. If you are considering having your carpet cleaned, ensure the company you choose possesses an actual physical address. You will need to locate the company if there are any errors with the cleaning. Companies with only an email to correspond with can be frustrating and get you nowhere. Hiring a professional carpet cleaner might be the only way to eliminate tough stains. Experts are able to eliminate stains caused by wine, wax, and even blood that you are unable to remove. Most of the time, they can do this without causing any damage, which will save you money in the end. Many people worry about how dirty their carpets are. Know what you can expect from a professional cleaner and be sure to check references. Hopefully, this article has given you the tools to continue with confidence. Please click here to read our terms & conditions. YES, I agree with your Terms & Conditions.